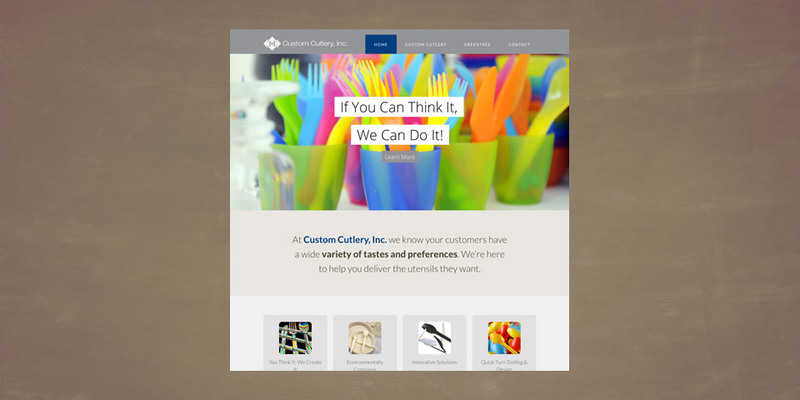 When Custom Cutlery was in desperate need of a new website, Boom Creative delivered! Together with Business Communications Solutions we developed a modern, relevant site that provided exactly what Custom Cutlery needed. Their new website is fully manageable from the backend, responsive in nature so it will function well on smart phones and tablets and most importantly is appealing to their customer.